Many young Iowans, and others, have spent time catching lightning bugs during steamy summer nights. 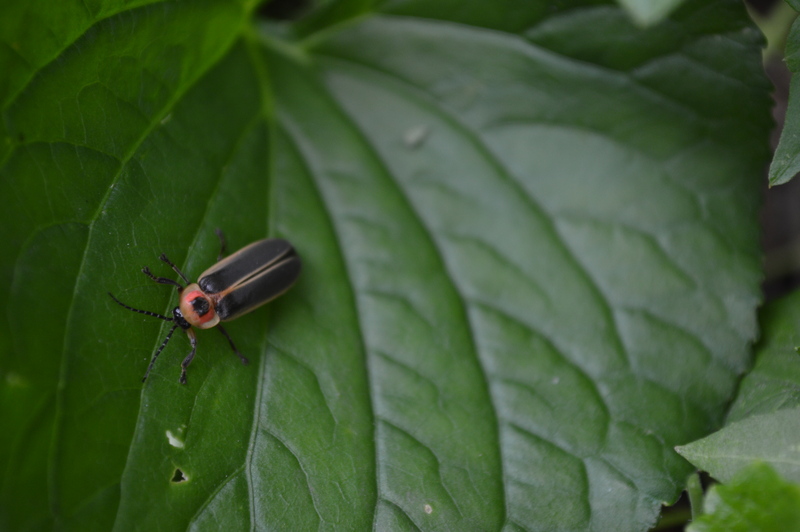 Also known as fireflies, lightning bugs are among the insects that fascinate young and old alike. Like many of our beloved creatures in recent decades, firefly populations appear on the decline, due to pesticide use, loss of habitat and other factors, so watching and admiring their flashing lights is the prime way to enjoy these wonders of nature. If you feel inclined to nab the glowing beetles in flight, “catch and release” is the best route, and be gentle so you don’t damage their wings or bodies. If you choose to put them in a container, make sure there are holes in the lid to allow air inside, and grass with a moist paper towel to keep the humidity levels up, which lightning bugs need to survive. As far as food, entomologist Donald Lewis notes that adult lightning bugs might occasionally feed on nectar, but generally do not eat. Still, let your fireflies go soon after catching – at least within a day – so they don’t die inside the container. Lightning bugs are active at night and need those humidity levels or they would dry up in the hot summer sun. So, as bothersome as Iowa’s humidity can be, residents of states with a drier climate don’t get to see nature’s fireworks. Lewis noted that lightning bugs spend most of their life – up to 11 months of the year – as larvae living under damp mulch, leaf litter and plant debris. In their larval stage, lightning bugs prey on slugs and eat other insect larvae and snails. Pristine yards are less hospitable to this stage of lightning bug, and the same is true of the adults, which rest during the day in tall grass, trees, shrubs and crop fields. Thanks Cindy. I\’m not sure how far the name lightning bug goes outside our region. Nowhere else in the country have I heard it. Many an evening was spent capturing and putting them in mason jar habitats for the night, complete with holes. Their little beacons lulling me to sleep! Wonderful memories. Thanks for sharing that wonderful memory, Jeffrey! It does seem like there were so many more around as a child. I grew up in east Tennessee and they were called \\\”lightning bugs\\\” there too. We used to catch and sell them to scientists who studied them- 35 cents per 100. Thanks for your comment, Karla! Good to know there are “lightning bugs” elsewhere.